Village with 834 inhabitants at the western foot of the Börzsöny Mountains. 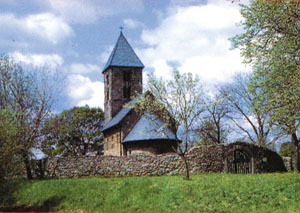 The Romanesque St. István church was built in the 13th century, the so called Miners' church was built in Gothic style in the 15th century. Bishop József Batthyány had the Baroque Roman Catholic church built in 1788. The Lutheran church was built in Classicist style from 1847 to 1852. The history and tools of mining for ore are shown in the Exhibition of Mining. The watermill of the village was reconstructed in 1980. The monument railway runs between Nagybörzsöny and Nagyirtás at weekends. The Hunters' Day of Nagybörzsöny is organized on September.